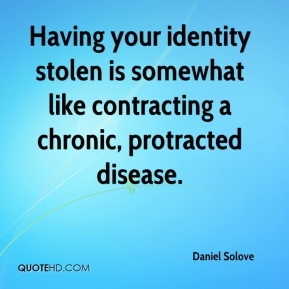 Having your identity stolen is somewhat like contracting a chronic, protracted disease. We have to ask ourselves anew the larger question: What surveillance power should the government have? And to what extent should the government be allowed to manage the development of technology to embody its surveillance capability? Even though its anonymous, it's still ominous. 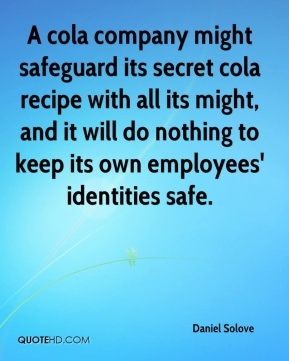 A cola company might safeguard its secret cola recipe with all its might, and it will do nothing to keep its own employees' identities safe. 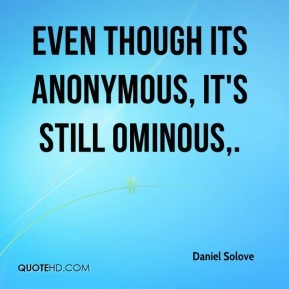 Even though its anonymous, it's still ominous. 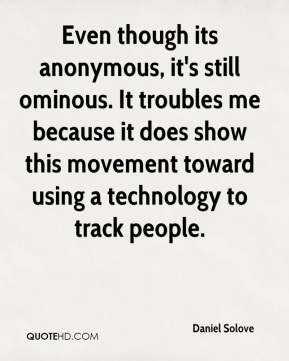 It troubles me because it does show this movement toward using a technology to track people. 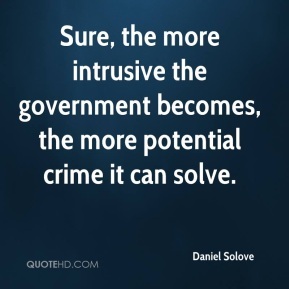 Sure, the more intrusive the government becomes, the more potential crime it can solve. 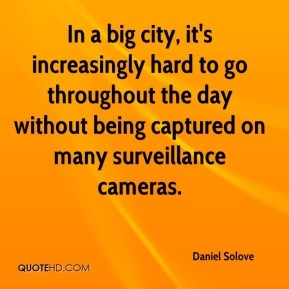 In a big city, it's increasingly hard to go throughout the day without being captured on many surveillance cameras. Camera phones threaten to turn everyone into amateur paparazzi. 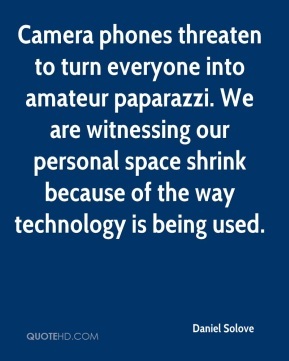 We are witnessing our personal space shrink because of the way technology is being used.